The Classic World Tool Bench is the perfect toy for tomorrow's builders. Classic World Tool Bench is an ideal toy for future builders! It helps develop hand eye coordination as well as basic tool working skills. The multi layered Classic World Tool Bench provides storage for all of the included tools, screws and wood pieces. 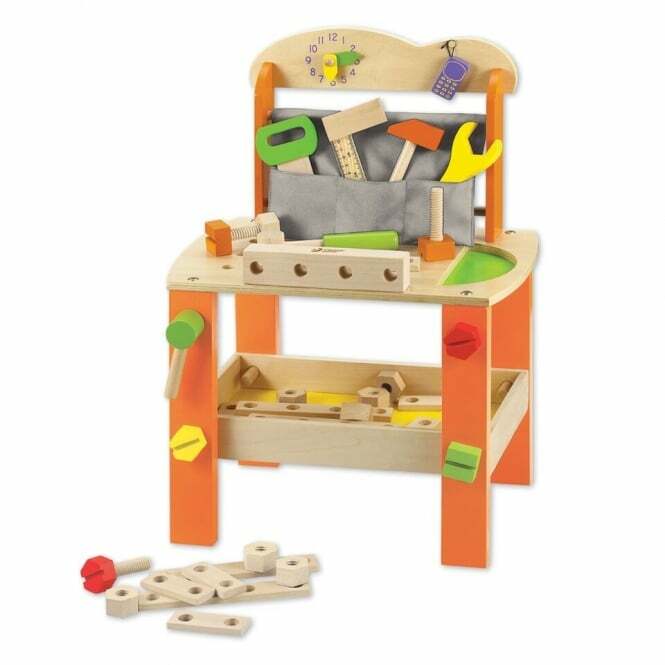 Classic World Tool Bench encourages creativity and role play. These help your baby learn through play.